Since you’re here, I’m guess you’re currently struggling with Candida overgrowth or perhaps you’re feeling generally unwell and you’re just looking for answers. I’m all too familiar with what you’re experiencing right now. The desire to obtain answers and to only want to feel better. Your journey thus far has probably been extremely discouraging from that constant feeling of something ‘just isn’t right’ but now knowing what or how to deal with it. That’s exactly how I felt not too long ago. For most of my adult years, I was generally healthy. I wasn’t significantly active; but I had my morning jogs, occassionally played tennis with my wife on weekends and had two dogs that required more attention than my children ever did. I would say that I was over all a healthy individual and could potentially outlive my own children. I never considered myself unhealthy, in fact I always thought I was like everyone else. I worked a nine-to-five job, came home and followed an auto-pilot routine and followed hobbies or passions on random whims from time to time. Of course things change and when I was nearing 35 I began to feel different. I would say that I am a generally upbeat and energetic person. If I’m not doing something physically active, them my wife and I would sit down and have a conversation or complete a crossword puzzle together. A few days short of my birthday, I started to come down by this sudden wave of fatigue. Most weekends I would spend all day in bed or on the couch. On weekdays I didn’t feel like going to work and when I got there, I felt like a drone and just wanted to go home. I associated this change with two things, changing of the seasons (we were starting to get into Winter) or I was nearing a mid-life crisis. Logically, both possibilities made sense, so for a month I dealt with the fatigue and ignored it. What I couldn’t ignore however was the sudden onslaught of muscle cramps, abdominal pain, weight gain and headaches. I was ‘getting by’ with my day-to-day activities, but everyday seems to be a struggle and I noticed that things that were a joy to me were not becoming such a chore. Tennis on the weekends had been cut out of my life, my two dogs were very much aware of my change and lack of interest in play time with them, and my wife commented on how moody I had become in conversation or just around the home. I decided to visit the doctor for routine blood tests and to see if he had an explanation for my sudden change. By the time my appointment came around, I noticed that I was developing terrible rashes on my hands and on the skin of my neck. My doctor associated this with mild skin irritation from the cold weather and told me to apply lotion to the affected areas. As for my other symptoms, well even he gave me a skeptical look as I tried to explain the changes. The hardest part was that I couldn’t fully back up my claims. My diet was the same, I was still doing my morning runs despite my lethargy and not much else had changed. The doctor said I was probably just going through seasonal affective disorder and things would clear up eventually. He advised me to consider light therapy to combat the symptoms and sent me on my way. A month after I visited the doctor, I had gained a whopping 20 pounds in total and my skin condition seemed to get even worse. On top of that I had become extremely moody, had constant headaches and no matter how much I slept, I was always dead tired. My wife commented on perhaps I didn’t have seasonal affective disorder and deep down inside, I knew she was absolutely right. Things were pretty glum and I was sure that this was just another facet of life. My current state was just a display of old age and this was my life from here on. Despite my dramatic acceptance of my new life, I still wanted to know why. People don’t just change into a dramatically different person over night, especially not when their lifestyle experience very little to no alterations. I decided to do some more searching and eventually, three months later I found the the cause of my sudden decline in health. I was being afflicted by Candida overgrowth. 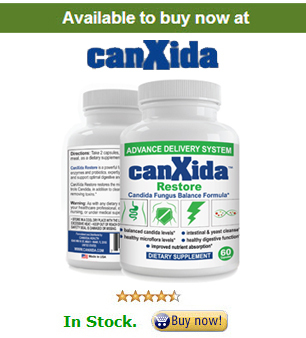 I had heard of Candida in the past, but I never put my symptoms together with the disorder. I just assumed that my way of life had been optimal, that I was eatinr gith, exercising right and overall treating my body right. Surely I couldn’t have brought this on. But that’s the thing, Candida doesn’t discriminate. You could be the healthiest indiivudal in the world and you just might be in the running to develop a Candida overgrowth. As for myself, what I considered to be the ‘average joe’, I was no different in the eyes of Candida and that’s why it had targeted me. Coming to terms with what I had was just half the battle. The rest was trying to figure out how I would combat my disorder. Going to the doctor seemed unapproachable because many articles I read stated that Candida was not a recognized disorder in modern medicine, that doctors would treat my symptoms, not the underlying and root cause of my problem. It was then that I started to look for treatment plans and approaches I could take up on my own. The search was hard, and also at a time when Candida was not necessarily recognized by many individuals. A lot of my planning was either instinctual, commom sense, or taken from other men and women who suffered from this debilitating disorder. It was scary, knowing that I was merely performing a trial and error on myself but overtime I had come to overcome my Candida and to this day, at 47 I can proudly I am Candida free. I’d also like to say that I am more of a healthier individual than I ever was before 35. If you’re here, you too are going through the same thing that I experienced. I know how hard it is and I know that the uncertainty of this disorder is the most discouraging part of this experience. But that is why I created the Candidadiet.org. Not only to share my personal experience but to tell you want works and what doesn’t. I have probably cause irreversible damage to my body from following the wrong advice and so I’d like to help you on your journey to recovery. Even if you don’t have Candida, the natural approaches to treatment and advice I suggest do not only apply to this disorder. It could also help in changing your current lifestyle and treating other inhibitions you currently have. I sincerely hope that you find something here to help you. It’s the reason that I created this website. I might have my hands full with my own life, but I still feel it my responsibility to do whatever I can to help spread the word about the greatest health disorder that is constantly being swept under the rug. Life should be about being healthy and living to the fullest, it’s the gift that I want to share with you.